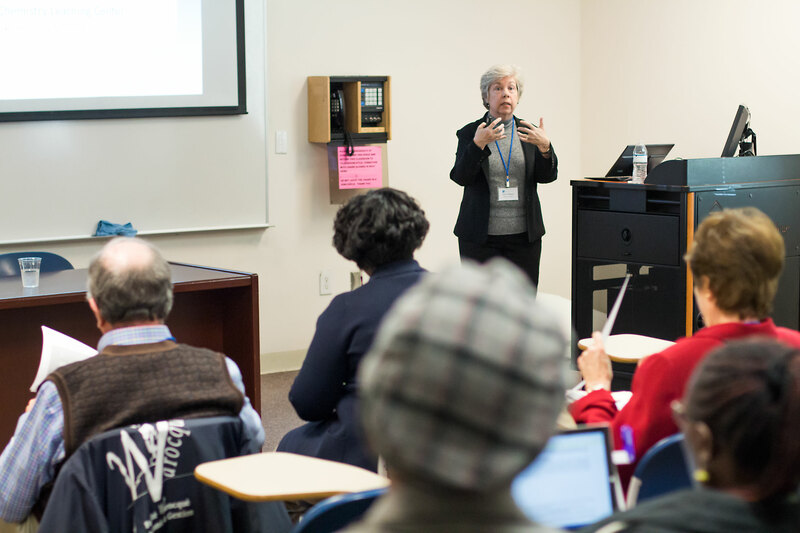 The institutions that make up the Faculty Resource Network host a diverse and exciting array of lectures, seminars, and other programs at their campuses, including publication and research opportunities. Click on the links below to find out more about events that may be happening in your area. 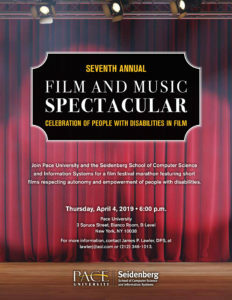 Join Pace University and the Seidenberg School of Computer Science and Information Systems for a film festival marathon featuring short films respecting autonomy and empowerment of people with disabilities. Thursday, April 4, 2019 • 6:00 p.m.
For more information, contact James P. Lawler, DPS, at lawlerj@aol.com or (212) 346-1013. Three Talladega College faculty members recently participated in New York University Faculty Resource Network (FRN) activities in New York, N.Y.
Dr. Angela Walker, chair of public administration and assistant to the provost, attended FRN’s annual liaison officers’ dinner and business meeting. Dr. Karen Petty, assistant professor of education, and Dr. Michelle Bridgewater, assistant professor of special education, attended the New York University FRN Summer Seminar. The seminar is an award-winning professional development initiative that sponsors programs for faculty members from a consortium of more than 50 colleges and universities. The Journal for Invitational Theory and Practice (JITP) (ISSN-1060-6041) publishes once a year and promotes the tenets of invitational theory and practice, self-concept theory, and perceptual psychology. First published in 1992, it is currently indexed in the ERIC and EBSCO databases. The JITP seeks to publish articles under two priorities. First, manuscripts are encouraged that examine and expand the theory of invitational learning and development, investigate the efficacy of invitational practices, and relate these beliefs and findings to other theories of human development and behavior. Second, manuscripts are considered without directly relating their discussion/findings to ITP if their focus is on theories which are compatible with ITP. The JITP accepts articles for submission year round; however the submission deadline for each issue is July 1 of each year.